The Sevenmile - Silver Creek Watershed includes the 113 square mile (292 square kilometers) area of land extending a few miles inland from Lake Michigan between the cities of Manitowoc and Sheboygan. Approximately 75 percent of the watershed is in Manitowoc County. The watershed contains seven small streams draining directly to Lake Michigan and 13 small inland lakes. These small inland lakes are used by diving ducks, especially during fall migrations when Lake Michigan conditions are not conducive to resting and feeding. The watershed was named for two of the larger stream systems: Sevenmile Creek in Sheboygan County and Silver Creek in Manitowoc County. In 2018 a targeted watershed approach plan was published for the Pine and Calvin Creek Frontal Lake Michigan subwatersheds. Pine Creek Watershed is primarily agricultural, flowing into Lake Michigan near the Town of Newton, just south of Manitowoc. Three sites in Pine Creek were monitored for a targeted watershed assessment for fish, physical habitat and macroinvertebrates. The Calvin Creek Watershed is also primarily agricultural. Two sites in Calvin Creek were assessed for a targeted watershed assessment for fish, physical habitat and macroinvertebrates. For more information go to the TWA Project online. The predominant land use in the watershed is agriculture, with dairy farming accounting for the majority of the agricultural operations. A few livestock, cash grain and specialty crop operations also exist. Some suburban development occurs primarily in the northeastern portion of the watershed near the city of Manitowoc. The incorporated villages of Cleveland, Haven and Newton are within the watershed. There are three municipal point source dischargers and three industrial point source dischargers in the Seven-mile Silver Creek Watershed: AH Stock Mfg and Dinner Club, Cleveland Village, Holy Family Convent, Maritime Liquid Waste, Newton Meats and Sausage, and Pine River Dairy Inc. The Sevenmile - Silver Creek Watershed was selected as a priority watershed in June 1984 under the Nonpoint Source Water Pollution Abatement Program. This project has an exceptionally high level of participation for pollution control. Normally limited to three years, the landowner signup period was extended by nine months. The signup ended July 17, 1990. The high level of participation, especially in Manitowoc County, is attributed to the ability and efforts county staff made to establish good working relationships with landowners. The success of this project can also be attributed to the counties' willingness to increase staff and offices to administer this large project. According to models, if all cost share agreements and conservation plans signed up for are actually implemented, theoretically, the goals for pollutant load reduction will be met in three of the four categories of pollution sources. The nonpoint source control plan for this watershed contains detailed information about the streams and water quality objectives. A final report for the watershed project will be completed in 1997 by Manitowoc County Soil and Water Conservation Department. The Seven Mile and Silver Creeks Watershed is located in the Central Lake Michigan Coastal Ecological Landscape which stretches from southern Door County west across Green Bay to the Wolf River drainage, then southward in a narrowing strip along the Lake Michigan shore to central Milwaukee County. Owing to the influence of Lake Michigan in the eastern part of this landscape, summers there are cooler, winters warmer, and precipitation levels greater than at locations farther inland. Dolomites and shales underlie the glacial deposits that blanket virtually all of the Central Lake Michigan Coastal Ecological Landscape. The dolomite Niagara Escarpment is the major bedrock feature, running across the entire landscape from northeast to southwest. Series of dolomite cliffs provide critical habitat for rare terrestrial snails, bats, and specialized plants. The primary glacial landforms are ground moraine, outwash, and lakeplain. The topography is generally rolling where the surface is underlain by ground moraine, variable over areas of outwash, and nearly level where lacustrine deposits are present. Important soils include clays, loams, sands, and gravels. Certain landforms, such as sand spits, clay bluffs, beach and dune complexes, and ridge and swale systems, are associated only with the shorelines of Lake Michigan and Green Bay. Historically, most of this landscape was vegetated with mesic hardwood forest composed primarily of sugar maple, basswood, and beech. Hemlock and white pine were locally important, but hemlock was generally restricted to cool moist sites near Lake Michigan. Areas of poorly drained glacial lakeplain supported wet forests of tamarack, white cedar, black ash, red maple, and elm, while the Wolf and Embarrass Rivers flowed through extensive floodplain forests of silver maple, green ash, and swamp white oak. Emergent marshes and wet meadows were common in and adjacent to lower Green Bay, while Lake Michigan shoreline areas featured beaches, dunes, interdunal wetlands, marshes, and highly diverse ridge and swale vegetation. Small patches of prairie and oak savanna were present in the southwestern portion of this landscape. English Lake Management District: English Lake Ais Control Proj. : English Lake P&R District proposes to manage invasive species on English Lake during the period of April 1, 2012- June 30, 2015. The project elements and deliverables are specified within their control grant application dated January 20, 2012. All project requirements are listed below. Annual progress reports and a final report summarizing this project is requirement and will be provided to the DNR. Please provide both paper and electronic .pdf copies of the final report along with, or prior to, submission of the grantee\2019s final payment request. If a consultant is to provide the final report, it is recommended that the Grantee provide the DNR AIS Coordinator with a draft for comment on report adequacy prior to making the final payment to the consultant. Any publications produced as part of the project will incorporate the \201CStop Aquatic Hitchhikers!\201D\2122 brand ( partnership details can be found at: http://www.protectyourwaters.org). Hartlaub Lake Assoc: Hartlaub Lake Rapid Response Project: Hartlaub Lake Association proposes to control Eurasian water-milfoil (EWM) in Hartlaub Lake by implementing control measures during the period 2010-2012. The project elements and deliverables are specified in the Hartlaub Lake Association\2019s Aquatic Invasive Species Control Grant application, dated April 15, 2010. The project includes conducting pre- and post-treatment surveys, including a full Point Intercept survey, and mapping the extent of EWM; controlling EWM with aquatic herbicide treatments; and implementing an aquatic invasive species prevention strategy that includes developing an information & education program. Annual progress reports and a final report summarizing the one-year project will be provided to DNR. Any publications produced as part of the project will incorporate the \201CStop Aquatic Hitchhikers!\201D\2122 brand (partnership details can be found at: http://www.protectyourwaters.org). If consultant is to provide the final report, it is recommended that the Grantee provide the DNR Aquatic Invasive Species Coordinator with a draft for comment on report adequacy prior to making final payment to the consultant. DNR will be provided both paper and electronic .pdf copies of the final report along with, or prior to, submission of grantee\2019s final payment request. Hartlaub Lake Assoc: Hartlaub Lake Clp Control: The project includes conducting pre-and post-treatment surveys and mapping the extent of CLP according to WDNR protocols; controlling CLP with aquatic herbicide treatments; and implementing an aquatic invasive species prevention strategy that includes developing an information & education program. Evaluation Of Waterfowl Consumption Advisories In The Aoc: Specifically, our project will evaluate the BUI “restrictions on fish and wildlife consumption” by monitoring waterfowl for contaminants at locations where consumption advisories already exist and determining whether contamination has decreased to the point where advisories are no longer warranted and the BUI can be removed from the given AOC. Wi Partnerships For Aquatic Invasive Species Prevention: Through prevention, education, and monitoring we will create a tight barrier at WI Great Lakes that limit invasive species movements into and out of the GL and inland lakes. Lakeshore Natural Resources Partnership Inc.: Lmi-Carstens Lake Hill Line Dairy Sedimentation Basin: Lakeshore Natural Resources Partnership (LNRP) is sponsoring a project to begin implementing their 2017 Carstens Lake Comprehensive Management Plan to improve water quality in the Carstens Lake watershed located in the Town of Newton, Manitowoc County. Project final deliverables include: 1) all design plans and a final report summarizing the project; 2) Copy of the recorded contract between grantee and property owner. Specific project activities include: 1) Develop a concept plan for an off-line sedimentation basin adjacent to Pine Creek upstream of Carstens Lake; 2) Design the sedimentation basin per agreed upon concept; 3) Develop an operation and maintenance plan, between grantee and land owner, to be approved before signed and recorded; 4) Construct the sedimentation basin; 5) Install a perennial vegetated buffer adjacent to the sedimentation basin; 6) Conduct an aquatic plant survey and develop a report with aquatic plant management recommendations for Carstens Lake. Special Conditions: 1) Prior to construction, LNRP will obtain all requisite landowner access and permits as required from WDNR, the US Army Corps of Engineers (USACOE), Manitowoc County, and other regulatory agencies or municipalities. This scope summarizes the project detail provided in the application and does not negate tasks/deliverables described therein. Data, records, and reports, including GIS-based maps, and digital images, must be submitted to the Department in a format specified by the regional Lakes Biologist. English Lake Management District: Lmi-English Lake Management District Wetland Detention Basin: English Lake Management District proposes to construct a wetland detention basin east of English Lake to treat agricultural runoff from a nearby barnyard/feedlot and cropland. The wetland basin will be built from an approved design to maximize sediment and nutrient removal efficiency. The project activities include site preparation and construction of an approximately 300 foot long dike that will create a detention basin that will result in a wetland about 1.2 acres in surface. The rock spillway and complete approved planting of wetland and aquatic vegetation are also included in this project. English Lake Management District: Lmi-Df-English Lake Drain Tile Diversion Df Study: The English Lake Management District proposes to conduct a diagnostic/feasibility study on drain tile diversion. The project will consist of a site topographic survey; surface, ground and lake water monitoring; drain tile investigation; threatened and endangered species review; public education and involvement and a final report. This final report will contain the collected data and review of alternatives identified in prior planning grants; examination of alternatives based on feasibility, cost and benefits; and an implementtion plan will be selected as the best management option and detailed in this report. English Lake Management District: Lmi-English Lake Se Drain Tile Diversion Project: The English Lake Protection and Rehabilitation District propose to divert a farmland drain tile that currently discharges to English Lake. The drain tile will be re-routed to discharge to a near-by forested wetland, whereby reducing the phosphorus and sediment loading to English Lake. A final report will be provided both in hard copy and electronically. English Lake Management District: Acq-English Lake "Pluess" Land Aquisition: The English Lake Protection and Rehab District proposes to purchase 9.82 acres of land known as the "Pluess" property. As part of the District's match, they will use proceeds from a bargain sale and the donated value of .33 acre of property known as the "Burns" property. At the conclusion of the project installation and integration, the sponsor will provide a report detailing the methods and results. Silver Lake Protection & Rehabilitation Dist: Res-Silver Lake Restoration - Phase I: The Silver Lake Protection and Rehabilitation District proposes to conduct a lake restoration project on Silver Lake, Manitowoc County. Restoration activities covered under this agreement include the diversion of Silver Creek, stabilization of the existing channel through riprapping, analyzing and determining the feasibility of different diversion alternatives, and producing a preliminary and final design of the chosen alternatives. A report will be produced that documents the analysis of the feasibility of enhancement options and estimates costs of implementation. Eligible costs are outlined on the attached cost estimate worksheet. Manitowoc County: Res-Silver Lake Diversion Project: The Silver Lake Protection and Rehabilitation District proposes to complete the diversion of Silver Creek from Silver Lake which will immediately and significantly lower the amount of sediment and organic loading from the creek into the lake and inhibit migration of undesirable fish species into the lake. The project will consist of bank riprap, outlet control structure, peat berm, maintenance, site ground work, design and consultant services and other miscellaneous structures and activities. Manitowoc County Lakes Assn: Lmi-Silver Lake Restoration Phase 2: The Manitowoc County Lakes Association proposes to complete Phase 2 of the Silver Lake restoration project. This project will significantly reduce the internal nutrient loading contribution to Silver Lake and reclaim a balanced fishery and lake habitat. This will be achieved through 1) complete eradication of the primarily rough fish population using rotenone, 2) alum treatment to inactivate/reduce internal nutrient load for lake sediments, 3) restocking and regulation of the sport fishery, and 4) terrestrial and littoral habitat restoration along 650 feet of shoreline in the county/city park. The main product will be the restoration of Silver Lake. Press releases, newsletters, and presentations will provide information and education to the public. Progress reports and a final report will be provided to the Department of Natural Resources both in hard copy and electronically. 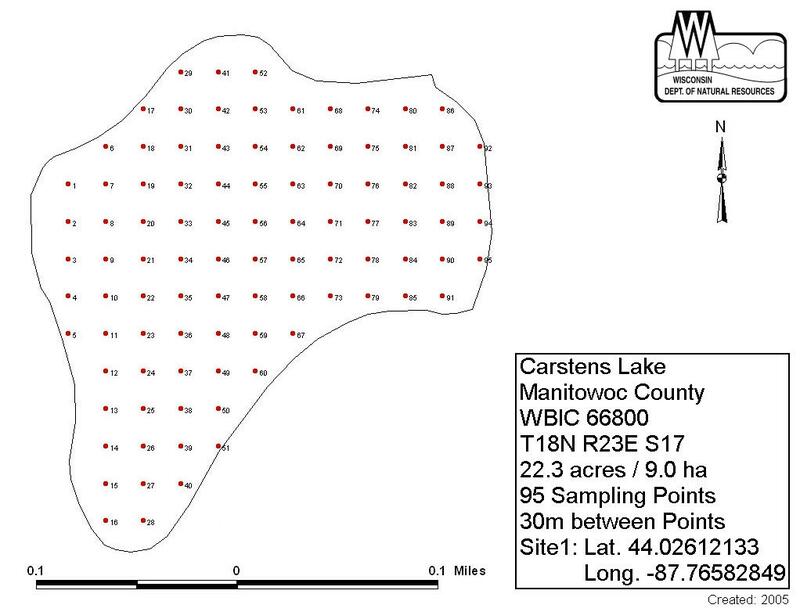 Manitowoc County: Carsten/Weyers Lake Management Planning: Manitowoc County proposes to conduct the following lake management planning activities on Carstens and Weyers Lakes: 1) Form a Lake Association. 2) Prepare a study design to determine nutrient problems in the lake. 3) Prepare a GIS layer of the watershed and sample sites. 4) Study the lakes water chemistry and compare to previous studies. 5) Prepare a final report summarizing the project's results. The Department of Natural Resources will be provided with a paper copy and an electronic copy of the final report. Information about the project results will be disseminated to the public by public meeting. Lakeshore Natural Resources Partnership Inc.: Carstens Lake Management Plan: Lakeshore Natural Resources Partnership (LNRP) is sponsoring a project to update the Carstens Lake comprehensive lake management plan. Project final deliverables include: all data collected, agendas and minutes for planning meetings, and a lake management plan that includes methodologies, results, and management alternatives discussion with an implementation plan. Specific project activities include: 1) Provide a detailed historical assessment of water quality problems or threats to lake water quality from nonpoint source pollution; 2) Collect watershed-specific baseline information and model nonpoint source pollution input to the lake; 3) Develop and implement data sharing procedures and collaboration between all project partners; 4) Seek public involvement throughout all phases of this project; 5) Creation of a public supported updated comprehensive lake management plan that includes an implementation strategy. 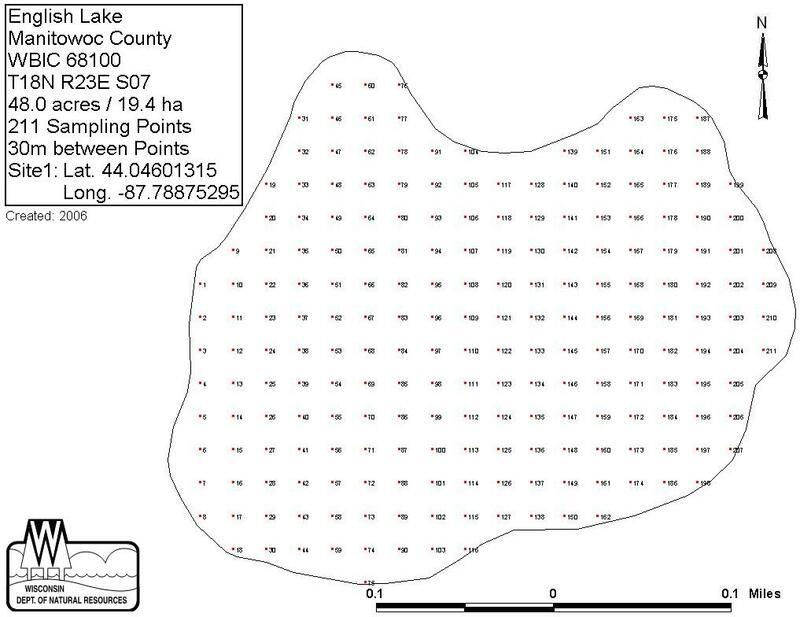 English Lake Management District: English Lake Management Plan: REVIEW EXISTING DATA ON LAKE TO DEFINE DATA GAPS. INITIATE PUBLIC INVOLVEMENT/INFORMATION PROGRAM. WATER QUALITY MONITORING. TWO SAMPLES OF AGRICULTURAL DRAIN TILE DISCHARGES TO BE ANALYZED. MACROPHYTE SURVEY. BASE MAP OF LAKE AND WATERSHED WILL BEPREPARED. DRAFT AND FINAL LAKE MANAGEMENT PLAN. English Lake Management District: English Lake Management Planning: Water quality monitoring during 1993 - 1996, on schedule, at depths, and for parameters as described in Tables 1 and 2 and Figure 1 in the application. 2) Conduct recreational use survey of lake users. 3) Conduct survey of on-site waste systems aroundlake. 5) Produce a final report which includes 1 - 4 listed above. 6) DNR shall receive copies of the final report. 7) Information will be disseminated to the public by fact sheet, local newspaper articles, public meetings, and final report. Thefinal report will be reposited at the Town of Newton Hall and DNR Lake Michigan District Office. English Lake Management District: English Lake Management Data Collection And Planning - Iii: (1) Continue to conduct water qualiyt sampling and analyses on English Lake during 1996 - 1998. (2) Analyze alternatives to correcting failed drain tile inflows to lake and formulate design for a wetland restoration alternative (3) Develop lake management plans based on phase I, II, and III data collection results and emphasizing nutrient inflow reduction, in-lake treatment alternatives, long-term trend monitoring, and identification of practical and effective options to maintain or enhance recreational use of the lake. (4) Continue identification and monitoring of exotic species; circulate brochures and post signs at public accesses to educate landowners and lake users about exotic species problems. (5) Prepare a final report addressing the results of the above tasks. (6) Disseminate information on the project results to the public by public meeting, newsletter and local newspaper article. The sponsor will provide the Department with a paper copy and an electronic copy of the final report. English Lake Management District: English Lake Protection Feasibility Study: Tasks 1-3: The English Lake Management District proposes to identify, assess the feasibility of, and prioritize potential mitigative/remedial measures to improve and protect English Lake's water quality. This grant agreement covers Tasks 1-3 of the proposed activities including identification of sites to implement selected remedial or mitigative measures, landowner contacts to assess feasibility, and site investigations to prepare project designs. The preparation of the project's final report summarizing the above activity findings is contained in grant agreement LPL-438. The Department of Natural Resources will be provided with a paper copy and an electronic copy of the final report. Information about the project results will be disseminated to the public by public meeting, report mailing, and newspaper article. English Lake Management District: English Lake Protection Feasibility Study: Tasks 4-5: The English Lake Management District proposes to identify, assess the feasibility of, and prioritize potential mitigative/remedial measures to improve and protect English Lake's water quality. This grant agreement covers Tasks 4 & 5 of the proposed activities including preparation of the conceptual design(s) for proposed projects (in the form of AutoCAD drawings, narrative descriptions and cost estimates), and preparation of the final report summarizing the project's Task 1-4 activities. The Department of Natural Resources will be provided with a paper copy and an electronic copy of the final report. Information about the project will be disseminated to the public by public meeting, report mailing, and newspaper article. English Lake Management District: English Lake Management Planning Project Ph 1: English Lake Protection and Rehabilitation District proposes to update their comprehensive management plan for English Lake in three phases. Phase 1 will focus on extensive stakeholder participation, watershed assessment review, fisheries data integration, two aquatic plant surveys, native aquatic plant community mapping, shoreline assessment, stakeholder survey, and final report preparation. The data collected, along with the public participation effort, will be used to complete a comprehensive lake management plan for English Lake that includes an implementation strategy. The project elements and deliverables are specified in the grant application materials submitted to the Department dated February 1, 2010. English Lake Management District: English Lake Management Planning Project Ph 2: English Lake Protection and Rehabilitation District proposes to update their comprehensive management plan for English Lake in three phases. Phase 2 will focus on pre and post-treatment surveys in 2010 and 2011, treatment reports in 2010 and 2011, peak biomass surveys in 2010 and 2011, water quality monitoring, watercraft inspections, aquatic invasive species surveillance monitoring, extensive stakeholder participation, and final report preparation. The data collected, along with the public participation effort, will be used to complete a comprehensive lake management plan for English Lake that includes an implementation strategy. The project elements and deliverables are specified in the grant application materials submitted to the Department dated February 1, 2010. English Lake Management District: English Lake Management Planning Project Ph 3: The English Lake P&R District proposes to complete a 3 phased plan development project. The goal is plan completion via final analysis of information and preparation of report (plan). Deliverables include: Lake Plan Document. Including 10 copies for state and sponsor distribution. If a consultant is to provide the final report, it is recommended that the Grantee provide the Department Lake Coordinator with a draft for comment on report adequacy prior to making final payment to the consultant. The Department shall receive both paper and electronic PDF copies of the final report along with, or prior to submission of the grantee's final payment request. Silver Lake Association: Lake Data Collection, Sediment Loading Reduction Analysis: Collect already existing data, maps, aerial photos, and reports on lake. Develop a water budget for lake and its surrounding wetlands. Develop potential alternatives for reducing sediment load to lake.Prepare an evaluation of chosen alternatives and final report. Information will be disseminated to the public by public meeting, summary report mailings, newspaper articles, and tv or radio spots. The grant agreement is amended to reflect a change in the sponsor's official name from Silver Lake Association to Silver Lake Protection and Rehabilitation District. Silver Lake Association: Watershed Inventory, Sediment Loading Reduction Alternatives: 1. Prepare engineering plans and cost estimates for a lake outlet structure and fish weir; 2. conduct water quality sampling; 3. conduct watershed inventory, including land use and nutrient load estimates; 4. revise existing bathymetric map of lake; 5. conduct wetland inventory; 6. conduct sediment sampling to determine phosphorus cycling internal rates. Town Of Newton: Res-English Lake Wetland Detention Basin Revegetation: The Town of Newton proposes to conduct a wetland revegetation project in a detention basin along English Lake. Project deliverables include planting aquatic vegetation to establish desirable species, increase the diversity of species and accelerate aquatic vegetation colonization; establish fencing around and over the top of the planted materal for goose protection; public education and involvement. See application project description for more details. Village Of Cleveland: Centerville Ck Watershed Eval & Streambank Stabilization: The Village of Cleveland proposes to conduct a Centerville Creek Watershed Study and Streambank Stabilization Study. Project objectives are to review changes in existing agricultural practices; perform a limited land use inventory of agricultural operations, evaluate the urban component of surface water quality attributed to the Village of Cleveland; evaluate the condition of streambanks within the Village and former millpond area; identify cost effective management strategies to stabilize highly eroded streambanks which endanger public safety; identify policies related to watershed land use; and strive to develop relationships between the Village, Town and County agencies. Lakeshore Natural Resources Partnership Inc.: Building Capacity For The Friends Of Hika Bay: The Lakeshore Natural Resources Partnership, Inc., proposes to supplement and build on previous work by partners to raise public awareness and partcipation in water stewardship. Specifically, Lakeshore Natural Resources Partnership will focus on building the capacity and membership of the Friends of theHika Bay and Centerville Creek groups. Activiies include two water seminars, an explore and restore event on the creek, a paint-out event with the Water's Edge Artists, three strategic planning meetings, aquatic invasive species control efforts and sevral news letters and newspaper article releases. The overall project goals are to build the capacity of the Friends of Hika group to protect and improve Centerville Creek. The project elements and deliverables will be completed as described in the project proposal submitted to the Department and dated April 28,2011. Lakeshore Natural Resources Partnership Inc.: Implementing Work Plan Friends Of Hika Bay: The Lakeshore Natural Resources Partnership, Inc. will assist in implementing the Friends of Hika Bay five-year work plan. Specifically, Lakeshore Natural Resources Partnership will develop and implement a membership drive utilizing WaterGrass software, host four water seminars, host at least four invasive species training workshops, conduct weekly water quality monitoring, and prepare newsletters and newspaper article releases. The project elements and deliverables will be completed as described in the project proposal submitted to the Department and dated April 26, 2012. Lakeshore Natural Resources Partnership Inc.: Friends Of Hika Bay: Lakeshore Natural Resources Partnership proposes to continue to build capacity and implement the work plan for the Friends of Hika Bay. Specifically, Lakeshore Natural Resources Partnership will implement a membership drive, host four seminars, conduct water quality monitoring with two student interns from UW-Manitowoc, and prepare fliers, newsletters and newspaper article releases. The project elements and deliverables will be completed as described in the project proposal submitted to the Department and dated April 27, 2013. Lakeshore Natural Resources Partnership Inc.: Implementing Friends Of Hika Bay Action Plan: Lakeshore Natural Resources Partnership (LNRP) proposes to support developing the membership and capacity of the Friends of Hika Bay group and implement the 5-year work plan. The project will 1) monitor five streams with two interns from UW-Manitowoc, 2) map and control invasive species, 3) conduct habitat monitoring and restoration work on Centerville Creek and Hika Shores, 4) do watershed planning, and 5) hold four seminars and develop reports and articles for the LNRP newsletter. LNRP will submit a final report summarizing the project to the Department. The project elements and deliverables will be completed as described in the project proposal submitted to the Department and dated December 8, 2014. Lakeshore Natural Resources Partnership Inc.: Friends Of Hika Bay Action Plan: Lakeshore Natural Resources Partnership (LNRP) is sponsoring a project to support the Friends of Hika Bay as the group continues to build appreciation for the stewardship of the frontal watersheds of Hika Bay. Project final deliverables include: all data collected, agendas and minutes for planning meetings, presentations, water quality data reports, newsletters and educational materials provided to the public. Specific project activities include: 1) Facilitating water quality sampling and analysis in collaboration with the Lakeshore Water Institute at UW-Manitowoc where students present their data at a public forum; 2) Hold a beach clean-up event at Hika Park; 3) Conduct a Project RED event in the watershed; 4) Host at least four volunteer Restore the Shore work day events; 5) Hold a volunteer appreciation event; 6) Host three public educational seminars. Lakeshore Natural Resources Partnership Inc.: Implementing The Friends Of Hika Bay Action Plan: Lakeshore Natural Resources Partnership (LNRP) is sponsoring a project to support the Friends of Hika Bay as the group continues to build appreciation for the stewardship of the frontal watersheds of Hika Bay. Specific project activities include: 1) Facilitating water quality sampling and analysis in collaboration with the Lakeshore Water Institute at UW-Manitowoc where students present their data at a public forum; 2) Hold a beach clean-up event at Hika Park; 3) Conduct a Project RED event in the watershed; 4) Host educational volunteer appreciation events; 5) Host three public educational seminars. Special Conditions: 1) Laboratory water quality analysis will not be funded by this grant. Glacial Lakes Conservancy: Fischer/Point Creek Assessment & Planning Project: The Sheboygan Area Land Conservancy and Fischer Creek Alliance propose to conduct a rapid assessment and strategic plan for the preservation of priority riverine habitats in the Fischer Creek and Point Creek Watersheds. Project deliverables will include a rapid assessment and biological survey to identify and document (via digital photograph/video) habitats; partner with local units of government and citizen groups to integrate results into local land use/zoning plans; conduct public and individual meetings to share results and enhance existing Conservancy and Alliance structure; produce an educational video for public and policy maker use. A final report will describe these accomplishments to the DNR. Specific project activities include: 1) Facilitating water quality sampling and analysis in collaboration with the Lakeshore Water Institute at UW-Manitowoc where students present their data at a public forum; 2) Hold a beach clean-up event at Hika Park; 3) Conduct a Project RED event in the watershed; 4) Host volunteer Restore the Shore work day events and write annual State of the Park reports for Fischer Creek and Hika Parks; 5) Host a volunteer appreciation event; 6) Hold three public educational seminars. Minimize agricultural runoff from rural areas. Restore key wetlands and forest lands for water quality improvements and protections. Establish riparian buffers to protect water quality. Monitor and control non-native invasive species. Minimize fish passage barriers. Increase citizen watershed awareness, understanding, and stewardship. Restore the water quality of Pine Creek and Calvin Creek through listing for total phosphorus, best management practices, and watershed management activities. A priority issue for this watershed is to work with landowners to decrease the amount of agricultural runoff reaching surface and groundwater. Lakeshore Natural Resources Partnership (LNRP) is sponsoring a project to support the Friends of Hika Bay as the group continues to build appreciation for the stewardship of the frontal watersheds of Hika Bay. Project final deliverables include: all data collected, agendas and minutes for planning meetings, presentations, water quality data reports, newsletters and educational materials provided to the public. Specific project activities include: 1) Facilitating water quality sampling and analysis in collaboration with the Lakeshore Water Institute at UW-Manitowoc where students present their data at a public forum; 2) Hold a beach clean-up event at Hika Park; 3) Conduct a Project RED event in the watershed; 4) Host educational volunteer appreciation events; 5) Host three public educational seminars. Special Conditions: 1) Laboratory water quality analysis will not be funded by this grant. Through prevention, education, and monitoring we will create a tight barrier at WI Great Lakes that limit invasive species movements into and out of the GL and inland lakes. DNR should work with partners to reduce phosphorus runoff and engage local units of government and watershed residents in stream restoration. Pine Creek is currently listed for phosphorus. This study provides additional biological data showing impacts from the phosphorus listing. Work with the Department of Transportation (DOT) purchase sensitive land areas around English Lake to improve water quality as identified in the Lake Planning Grant Process. New Category 2 based on temperature. 2018 TP Results: May Exceed. Station: 10016345. AU: 18026. Assess the condition of all the lakes within the Pine and Calvin Creeks Subwatershed since this study only focused on streams. 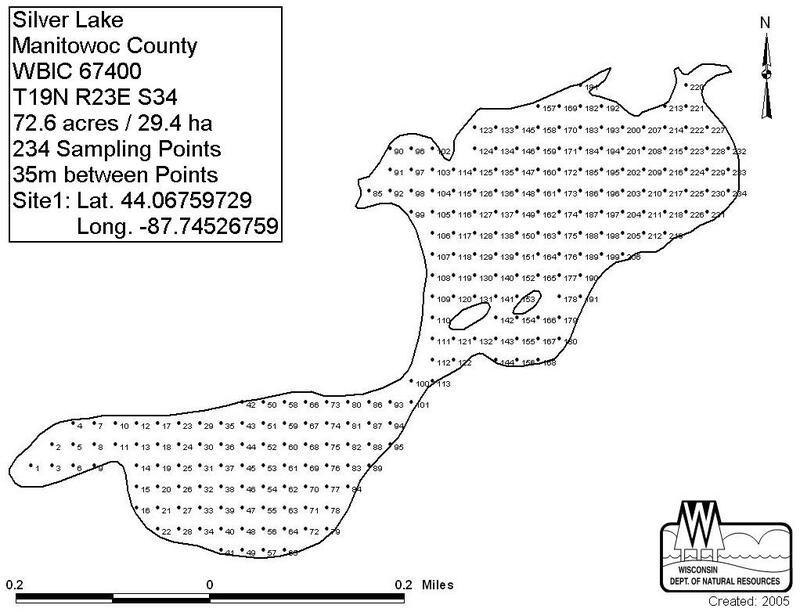 Calvin Creek should be added to the state's 303d List of impaired waters due to the total phosphorus concentrations exceeding the WisCALM guidance. Calvin Creek should be listed as impaired for phosphorus as it is found to be clearly exceeding listing values for the 2018 WisCALM guidance. Natural Community validation or recommended changes or updates based on analysis of fish species found in recent surveys: a. Station 10045061, Calvin Creek 200 meters DS South 26th Street was modeled as a WARM HEADWATER but is recommended as a Cool Warm Headwater based on the 2017 Natural Community temperature evaluation analysis tool. b. Station 10044972, Calvin Creek 15 meters US Clover Road was modeled as WARM HEADWATER but is recommended as a Cool Warm Headwater based on the 2017 Natural Community temperature evaluation analysis tool. Station 10044972, Calvin Creek 15 meters US Clover Road was modeled as WARM HEADWATER but is recommended as a Cool Warm Headwater based on the 2017 Natural Community temperature evaluation analysis tool. Natural Community validation or recommended changes or updates based on analysis of fish species found in recent surveys: Station 10045061, Calvin Creek 200 meters DS South 26th Street was modeled as a WARM HEADWATER but is recommended as a Cool Warm Headwater based on the 2017 Natural Community temperature evaluation analysis tool. Station 10045063, Pine Creek 25 Meters US Gass Lake Road was modeled as a WARM HEADWATER but is recommended as a Cool Warm Headwater based on the 2017 Natural Community temperature evaluation analysis tool. Station 10016013, Pine Creek above Cth U was modeled as a WARM HEADWATER but is recommended as a Cool Cold Headwater based on the 2017 Natural Community temperature evaluation analysis tool. DNR encourages local governments and nonprofit organizations to apply for runoff management grants to reduce phosphorus delivery in the larger watershed (MA01). The villages of Cleveland, Haven and Newton are located in the Sevenmile and Silver Creeks Watershed in Sheboygan and Manitowoc counties. In 1949, the United States Army opened a military camp called Camp Haven. It was located in Haven on 160 acres of land leased from a local owner. The Army operated this site as a training facility and an anti-aircraft testing range until 1959. In its prime, the camp had a floating population of 500 to 700 men. Over 120 tents and permanent buildings were set up on the site. Regular army, army reserve and National Guard troops were trained at the new camp. Units from throughout the Midwest practiced anti-aircraft gunnery at Camp Haven. The land was later sold to the Wisconsin Power and Light whose plans included a nuclear power plant, but the plants were never built. Instead, in 1998 the Whistling Straits golf course was built on the site and hosted the 2010 PGA Championship Tournament.